Benelli has its roots in Italy, but Qianjiang, a Chinese company, took over to help the struggling brand. They released the Benelli TRK 502 in the European market. 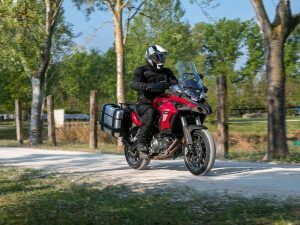 The Italian brand aims to take on the likes of the Honda CB500X, Kawasaki Versys 650, Honda NC750, and the Suzuki V-Strom 650. The Benelli TRK 502 faces tough competition in this category as the Japanese manufacturers dominate this segment. Will Benelli finally be able to find its way into the hearts of the UK motorbike enthusiasts? Benelli has taken inspiration from the more powerful European and Japanese adventure motorbikes such as BMW, Kawasaki, Triumph and Ducati for the styling on this motorbike. The bodywork is quite aggressive, with a tall windshield. 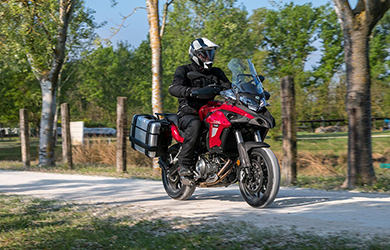 In other words, the Benelli TRK 502 looks like it is ready to take you on an adventure. The front suspension of the motorbike comes with USD fork, while the rear is monoshock pre-load. Despite the suspension leaning towards the firmer side, it can handle different types of roads without any problem. Thanks to the tuning of Benelli, the pitch during acceleration and braking is minimal. However, only the rear suspension is pre-load adjustable, unlike the one on the front. The front brakes come with dual semi-floating discs, while the rear has only a single disc. 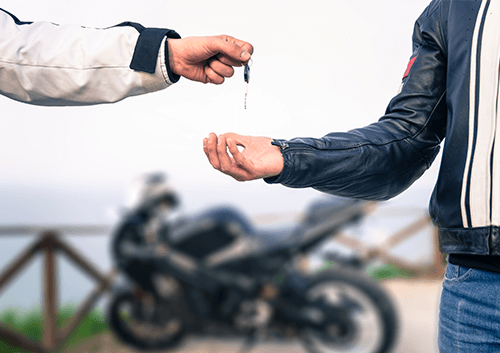 Even though there is ABS on the motorbike, its stopping power isn’t up to the mark. 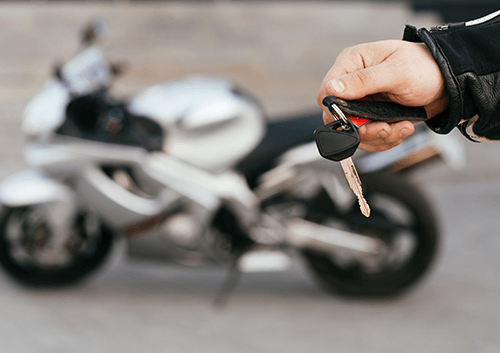 Due to this reason, you must plan your braking well in advance, if you wish to stop the motorbike on time. The seat is 800 mm high, but it is wide and flat at the same time. The seat provides adequate levels of comfort when you go for long distance rides. The screen provides satisfactory protection against the elements of nature. The display on the motorbike is quite basic, with an analogue rev counter on the left and a digital screen on the right. The screen displays your speed, trip, time, and mileage. The tank has a USB port for your smartphone. Also, it comes with LED indicators and lights. The adventure motorbike comes with DOHC, liquid-cooled, parallel twin, four stroke, 499.6 cc engine producing 47 hp of power at 8,500 rpm and 33.92 lb-ft of torque at 6,000 rpm. You get sufficient amounts of power in the lower and middle rev range. The six-speed gearbox on the motorbike is smooth. The tuning is on point as you won’t face any shortage of power while taking the bike off-road. Along with its 20-litre tank and average fuel consumption of 65 mpg, you can cover more than 200 miles before you have to think of making a stop. The Benelli TRK 502 might have a Chinese owner, but its performance, comfort, and handling is comparable to its Japanese and European counterparts. It is versatile and practical, making it a great motorbike for the daily commute. The only downsides of this motorbike are its brakes and weight. 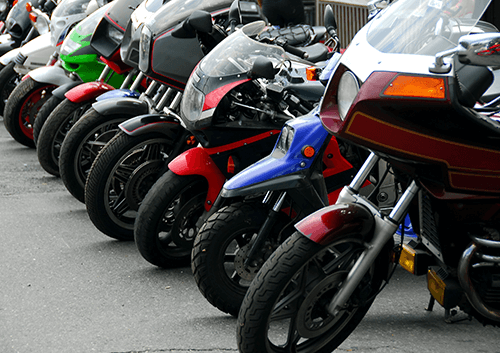 If you want a motorbike that is reliable and gets the job done, then you can pick it up for a base price of £4,995!